Kepak will be ‘tasting the future’ this week at the world’s largest and most important trade fair for the food and beverage industry, Anuga, which will open its doors on Saturday 7th October 2017 in Cologne, Germany. More than 40 Kepak representatives will join 160,000 enthusiastic visitors who will discover the latest and most innovative products from more than 7,400 exhibitors and be inspired by the world’s largest range of products. 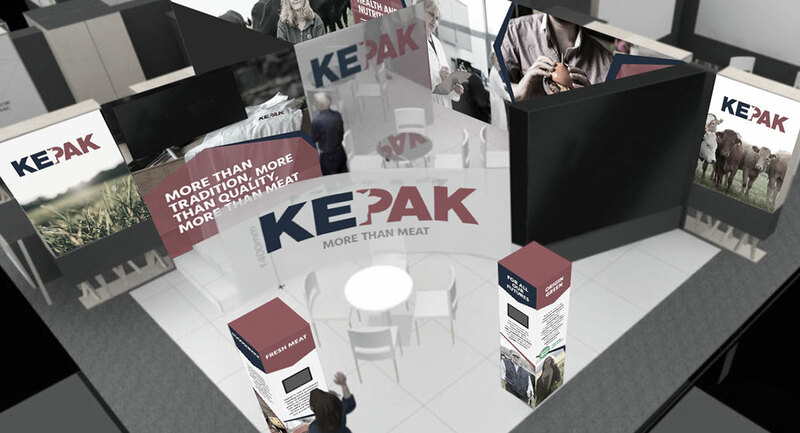 Kepak will this year host an impressive interactive display stand specially designed for the event, including rolling video showcasing how Kepak is leading the way in term of sustainability and innovation in meat production. We will be very active on social media throughout the 5-day event from Saturday to Wednesday so make sure to keep an eye out for updates on Twitter and Facebook! Like, comment or send us a message. We would love to hear from you! Anuga, a leading international trade fair, provides numerous sources of inspiration across more than 280,000 sqm of exhibition area, pioneering trending topics, an attractive supporting programme and, of course, great business opportunities. Kepak will beat Anuga from the 7th to the 11th of October 2017, when over 7,000 exhibitors from 100 countries bring the largest trading platform of the International Food & Beverage industry to life.